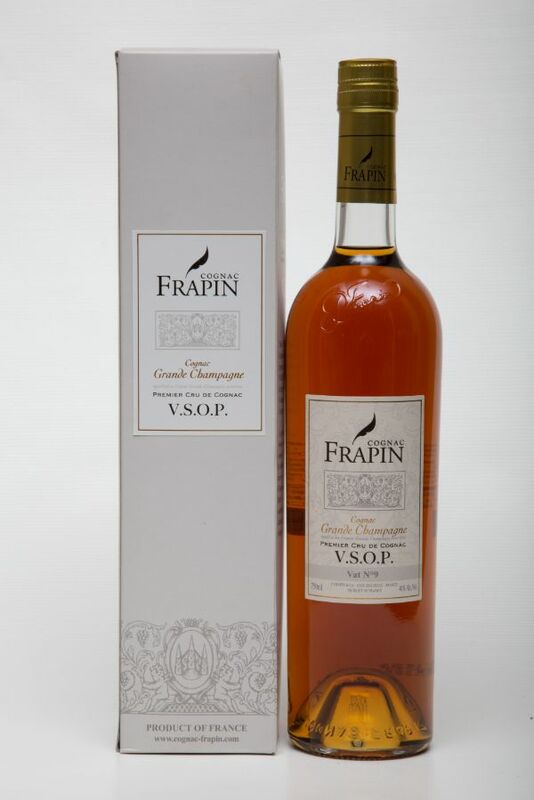 Wine-grower, distiller and merchant, the Frapin family has accumulated a vast estate over the ages including 593 acres of remarkable vineyards in the heart of Cognac’s Premier Cru area, the Grande Champagne. On the hillsides of Segonzac around Chateau Fontpinot, the Domaine keeps alive the age-old methods of grape growing, harvesting, pressing, distilling and ageing. Red copper Charentais stills, oak casks from the Limousin forests, alternate damp and dry cellars. . . every day, the methods used by the experts at Domaine Chateau Fontpinot, ensure that the true character of Grande Champagne Cognacs that are enjoyed throughout the world, continues to thrive. COLOR: Old gold color, amber, brilliant. NOSE: Warm, complex, baked fruit, rich, hot, rose petals. PALATE: Harmonious, rich, full with clear wood burnt tannins mixed with vanilla. FINISH: Defined remaining finish, English marmalade. CELLAR MASTER’S NOTE: Aged 8 to 10 years while the legally required minimum is 4 and half years.